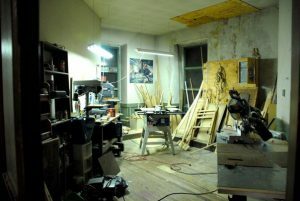 An artist space at the”Ghost Ship”. Just before midnight on Friday, Dec 2nd, an artist’s collective in Oakland, CA called “The Ghost Ship” was rapidly and without warning engulfed in flames. A ramshackle, graffiti-covered warehouse in the rough Fruitvale area, “The Ghost Ship” was home to a colorful collection of artists who had built a unique creative community, working and (illegally) living in the space while trying to escape the outrageous rents of the surrounding area. 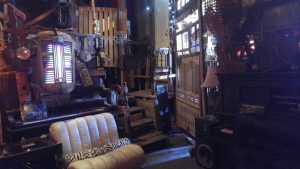 The rooms in this rickety 10,000 square foot warehouse were packed with many of these artists precious things; ornate lamps, vintage musical instruments, mannequin parts, odd sculptures, antiques, an ancient RV. You might have found a little bit of everything there. Everything except a sprinkler system. The building was in serious violation of city code. An electronic dance party was going on at the warehouse that night, so there were many more people in the building than just the artist residents. All of them were caught by surprise as swiftly moving fire devoured the brittle collections of oddities and the surrounding dry wood structure. Survivors said the thick smoke was instantly noxious and overwhelming. Thirty six people—three dozen—didn’t make it out alive. This tragedy has left a nagging pain in my heart. The sudden and senseless loss of young lives is horrifying, and these people were my people, the people I’m called to minister too. Artistic spirits; sensitive, full of creativity, questions and a zest for life. Like all practicing artists, working to coax the courage to create out of their souls in an often hostile environment. A number of their bodies were found huddled together, protecting each other like feral abandoned children, no one advocating for them or insuring they had a safe environment for their creative expression. The resident artists of this collective were desperately trying to make a life together in a decrepit old building, the only place they could afford, their rooms crammed with their precious possessions. The seemed to be living as orphaned spirits, marginalized, as Makoto Fujimura says in Culture Care, because they weren’t “useful”. Some would say that our country has abandoned its artists, offering very little assistance to those with the giftings to shape and enrich our culture. The US spends just $ .46 per capita to fund artists, one of the lowest amounts in the developed world. Canada spends 10 times as much per capita, the UK nearly 50 times as much, and France provides billions for the arts. But whether mainstream American culture ever supports these people or not, Christ-followers and the Church have a unique responsibility to embrace and nurture them. And we’ve been failing at it. Our God is the Father of creativity. Our Christian communities should be safe places for creative spirits to belong. Instead, we’ve often repelled them or turned them away, not knowing how they fit in our evangelical agenda. This must change. 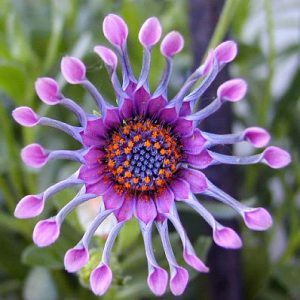 God is the greatest advocate for “useless” beauty and creativity who ever existed. Observe the “unnecessary”creativity he has surrounded us with; over 400,000 species of flowering plants, millions of different configurations of sunsets, billions of mind-bogglingly spectacular stars and nebulas. If he values beauty and creativity so much–and in fact Romans 1:20 says he reveals the essence of who he is in it–how can we claim to be his children and not do the same? How can we not support the people he planned before the beginning of the time to be gifted with creative vision? How can we not point them to the source of their creativity? We might expect the world, with is worship of “usefulness” to marginalize the artists of Oakland’s “Ghost Ship” and thousands of others in similar situations. But shouldn’t we, the representatives of the creative Father who designed them like this, find ways to reach out to them? Yes, it’s a challenge. Artists can be perplexing, pushing buttons and boundaries. But God desires that all artists to experience the joy of collaborating with him, of grasping transcendent meaning in their lives and work. Because the truth is, as the verse in Romans and others in Psalms tell us, gratuitous beauty and “useless” creativity does have profound meaning and purpose. If we pay attention, it regularly reminds us of who God is—the author of love– and who we are; loved and accepted by him not because of anything we’ve done or how “useful” we are, but because we are his children. And God intentionally designed artists to help convey these messages to the world. So what can Christ-followers do? As individuals, we can ask God to give us ways to show these precious souls that God values them. We might choose an artist to support monetarily or with encouragement and prayer for a month, connect with local artists and find out what their supply needs are (paint, canvas, etc. is expensive), invite an artist to paint live at an event, commission them to make art for your family or one of your church’s ministries. And appeal to your church or Christian community to step into this need. 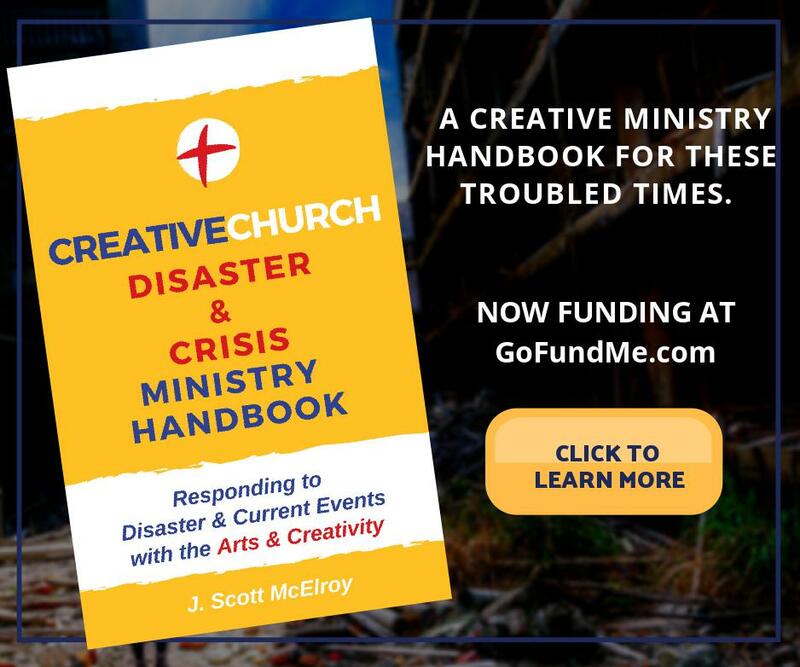 There are great opportunities to make a difference and I offer dozens of them with plenty of details in Creative Church Handbook: Releasing the Arts in Your Congregation (IVP). 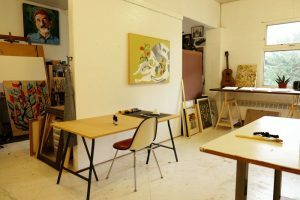 For instance, one of the simplest ways to reach out to local artists is to designate a gallery space and invite them to submit work to be shown. The artists will have access to a new audience and experience a practical example of Christians valuing their work. 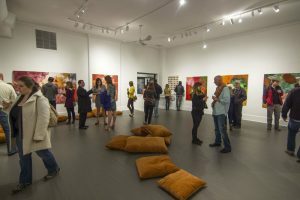 You might also host an art fair, or performance for artists to showcase their work. Or your church could develop an artist-in-residence program, inviting artists to work or even live in your facilities in exchange for artwork or teaching workshops. to come forward and lead the effort to make it available. The tragedy in Oakland is a wake-up call for many in mainstream culture, and the issues surrounding it will be discussed in many forums. Let it also awaken Christ-followers, the representatives of the supreme Creator, to find ways to share God’s heart with those endowed with creative abilities. They no longer need to wander alone, scrounging for creative meaning and fulfillment. Though often struggling with brokenness, poverty, confusion or anger, artists are created for a purpose—in Gods image–to reflect his creative character. Even if it is just in the smallest ways, we can and should be his partners in leading them to that joy. 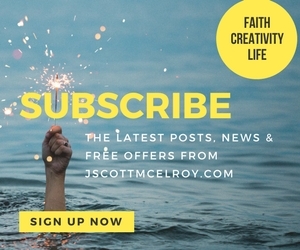 J Scott McElroy is the author of Creative Church Handbook (IVP) and Finding Divine Inspiration (Destiny Image), and the director of The New Renaissance Arts Movement (TheNewR.org) — Connecting Artists and Churches. Reach him at: scott@thenewr.org.